I play poker in a weekly game hosted by an 80-year-old man named Mort. During a recent game, I noticed a stack of composition books, scribbled-over yellow pads, and Bic pens spread over his dining table. What was he up to? Mort said he had lost his sense of purpose and identity, so he turned to something he knew a lot about — his life story — and began to write his memoirs. Mort’s reaction is quite common among older adults, as is his response. As people age, they may begin to feel irrelevant to those around them, especially their families, which often leads to low self-esteem, greater isolation, and a higher risk of depression. But engaging yourself in an endeavor like writing your memoirs can be rewarding for you and others. 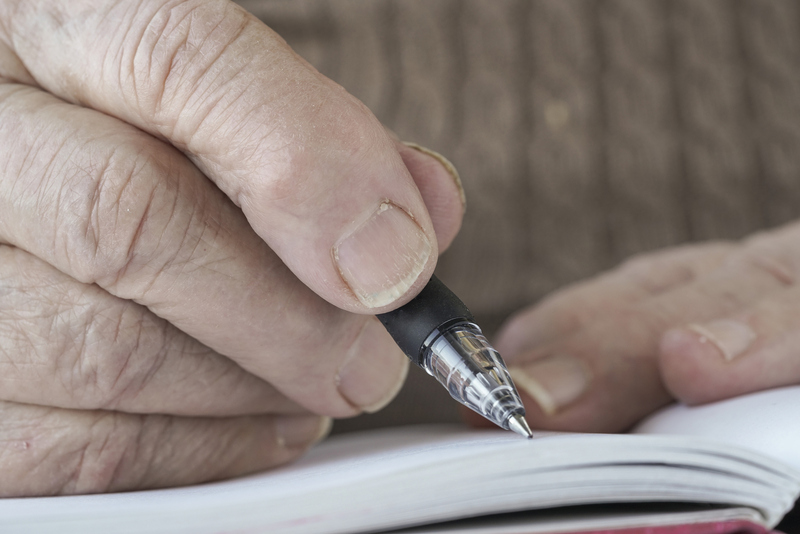 Writing your memoirs offers many benefits beyond simple storytelling. For instance, they can be an opportunity to pass along specific wisdom and life lessons. “Even if you write about parts of your life that you have never told anyone because they were unhappy or painful memories, revisiting them can show others the strength it takes to overcome life barriers when they face their own,” says Kearney. The actual writing aspect also can be a therapeutic tool as you explore issues that may still trouble you. A study published in the March 2018 JAMA Psychiatry found that writing about a specific upsetting memory was just as effective as traditional cognitive processing therapy in treating adults with post-traumatic stress disorder. Another way to trigger ideas is to look through photo albums. Focus on a single picture and write about the story behind it. Or use writing prompts, by asking yourself questions such as, “One of my fondest memories of my best friend was …”; or “The time I was happiest or most scared was …” Or write about your favorite hobbies or sports. Mort’s first chapter? His love of poker. Writing can be tough for some people. Here are some strategies to help you find your rhythm. Write at the same time each day to establish a routine. Choose a specific time to write, whether it’s in the morning while you drink coffee, or before bed, or any time in between. Write for a set period. In the beginning, set a timer and write for 10 to 15 minutes. Gradually extend the time to 20 minutes or longer. Don’t worry about spelling and grammar. Your writing is about record keeping and not publication, so write the way you speak, and don’t focus on correcting mistakes. Use a recorder. If you aren’t comfortable writing, then record your stories on a tape recorder or your smartphone. There are many speech recognition programs that can convert audio into text documents, such as Sonix, InqScribe, and Dragon NaturallySpeaking. Try writing longhand. Research has found that handwriting, especially in cursive, can activate parts of the brain associated with short- and long-term memory. The slower process also can help improve attention and information processing, since you have to focus on forming letters and words. Look for writing groups. Some community centers offer memoir-writing workshops that can offer further support and give you a chance to share your writing with other people. Or reach out to friends about forming your own writing group. way of getting things “off your chest”. recognized as being good for your well being. I wrote a series of Christian fiction novels called “Adoption Is How God Says I Love You” that are about the masculine triad in adoption, the father, the son, and the adoptive father. The subject was too emotional for me to share with others even though our three children are adults now with families of their own. I struggle with telling stories the kids would rather not have told. When I hit upon fictionalized accounts I went to work and spilled the beans in a way that respected their privacy. My goal of emotional composure did com about, now I’m a bit daft about grandchildren. I liked this article. It is a wonderful idea for older persons. I had a grand parent who started isolation behavior and who usually said that he Did see why he still alive. I thoughout that this methods of writing memories could help him. Thanks havard health blog and Thank you so much Mathew Solan. I started a daily journal when I retired from the UN at age 62. I have managed to more or less maintain this routine ever since. I also attempted to write about my earlier life but set it aside after I reached my university years. Given that every day in retirement is quite different I have found keeping a journal serves me as an anchor. Given that I don’t work any more journal writing helps me retain my writing skills and helps me put life in perspective.